The 2018 Women’s B1G Ten Championships kick off tonight, with timed finals in the 200 medley and 800 free relay on tap before the individual events get underway on Thursday. Minnesota is the defending champion in the 200 medley after breaking the meet record last year in 1:35.55, but Indiana holds the fastest time in the country so far this year in 1:34.58 and come in as the team to beat. Michigan are the big favorites heading into the 800 free relay, having won the title last year by nearly five seconds and holding the fastest time in the country this season by three. With two of the top five 200 freestylers in the NCAA this season (Siobhan Haughey and Gabby DeLoof ), they should have no problem earning a third straight title. With a deadly front half, the Indiana Hoosiers blew away the field to claim the B1G title in the 200 medley relay in a time of 1:34.16. The swim breaks the conference record, the school record, along with the championship record set last year by Minnesota. 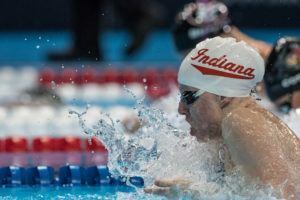 Alexandra Rockett literally rocketed the Hoosiers out to the lead with a 23.63 opening leg, and then reigning 50 breast world champion Lilly King extended the lead with a sizzling 25.84 breaststroke leg. Christine Jensen (22.67) and Grace Haskett (22.02) finished the job as Indiana won by nearly a full second. The Hoosiers also narrowly missed the NCAA (1:34.10) and American (1:34.15) records in the event, putting up the 3rd fastest relay performance in history. Minnesota touched 2nd in 1:35.06, with the team of Tevyn Waddell, Lindsey Kozelsky, Danielle Nack and Zoe Avestruz dropping their winning time from last year by nearly half a second despite falling down one spot on the podium. Ohio State took 3rd in 1:35.51, with a particularly impressive back half legs from Zhesi Li (22.36) and Freya Rayner (21.40), and Wisconsin (1:36.23) and Purdue (1:37.83) took 4th and 5th. 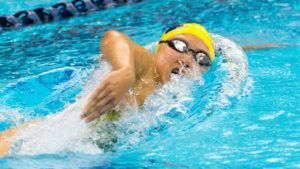 The top four teams were also under the NCAA ‘A’ cut time in the event. Michigan initially posted a time good for 5th, 1:36.83, but was disqualified. As expected, Michigan cruised to a third straight title in the 800 free relay with a time of 6:56.28, just under a second off their meet record set last year. Yirong Bi (1:44.15) sat 2nd to Indiana’s Kennedy Goss (1:44.06) after the opening leg, but then Gabby DeLoof (1:42.30) opened up a sizable lead for the Wolverines before Catie DeLoof (1:44.24) and G Ryan (1:45.59) finished things off. 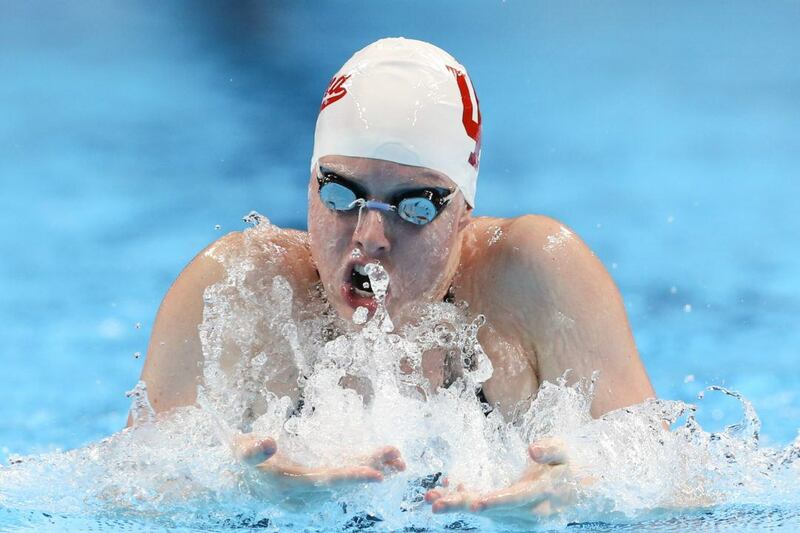 Siobhan Haughey, currently ranked 3rd in the country in the 200 free, was not used in the relay. Minnesota took 2nd, with Danielle Nack (1:44.77), Chantal Nack (1:45.23), Mackenzie Padington (1:45.13) and Zoe Avestruz (1:44.40) touching in 6:59.53, and Indiana (7:02.24) managed to hold off Wisconsin (7:02.95) for 3rd. 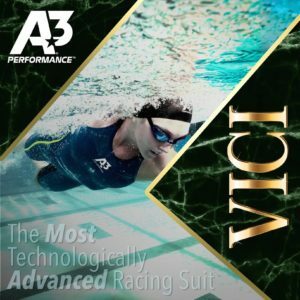 What happened to Umich’s 200 medley relay? Six tenths slower for Garcia leading off then she went last year at Arizona. Not good. Not good at all. Hope she is not sick. of course they did!! no other reason for her to perform so poorly i am guessing. Excited to see what she does the rest of the weekend. They actually had to go in and get the goggles after race. Guess you didn’t see that.